The Russian craft beer scene is exploding, with most new breweries centered around Moscow. Jaws bucks that trend! 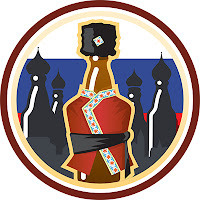 Based in Zarechny, an old atomic town of 30,000 in the Ural Mountain Range, the brewery was launched in 2008 and has been at the forefront of pushing Russian perceptions of beer. Atomnaya Prachechnaya translates as Nuclear Laundry, the brewery is based in the old laundry building in Zarechny. Sitting at 101 IBU's this beer is "for the majority of [Russian] people comparable to a nuclear explosion." I've been fortunate enough to try this beer once before at Tru Bru as part of a blind tasting. From memory it was my highest rating beer that night and I can't wait to try it again! First things first; the pour. 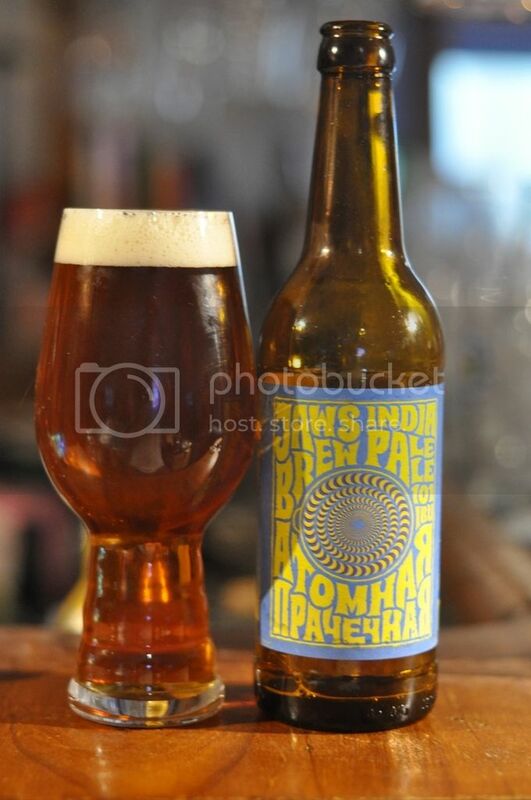 Jaws' IPA pours a deep orange, almost copper colour with a one and a half finger head of cream coloured foam. The foam is quite aerated and fades to a ring quite quickly, what foam there is does lace the glass well though. This beer is a little darker than many of my favourite IPA's, probably suggesting a slightly bigger malt body. Onto the nose and it's evident that this is as resinous as I remember it being. Alongside the ample pine aromas there is plenty of citrus and some floral characteristics. The malts are biscuity and are evident although they definitely play second fiddle to the hops. It's a great smelling beer! Just as I remembered Jaws' Nuclear Laundry packed a punch. The hops were pungent and bitter. Pine resin is very prominent to taste but as is the floral element, which is much more pronounced that the nose indicated. The malts provide nice balance to the cavalcade of hops that also includes some citrus and mango towards the end.